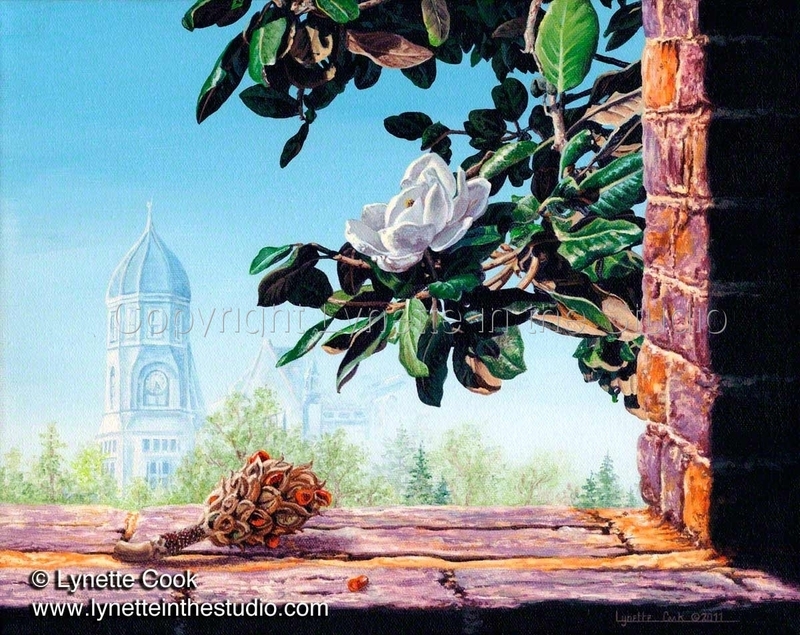 Depicted here is the life cycle of the magnolia, from spring bloom to seed pod, with the clock tower at Mississippi University for Women in the distance. It symbolizes returning to MUW after many years: reconnecting with friends and teachers, and seeing that seeds sown as a student have matured and blossomed. First displayed at the 2011 Alumni Invitational exhibit, Eugenia Summer Gallery. Acrylic on Canvas.